Doc B's Fresh Kitchen, a popular eatery with two locations in Chicago and one in Tampa, Florida, plans to significantly expand its footprint in the coming two years. 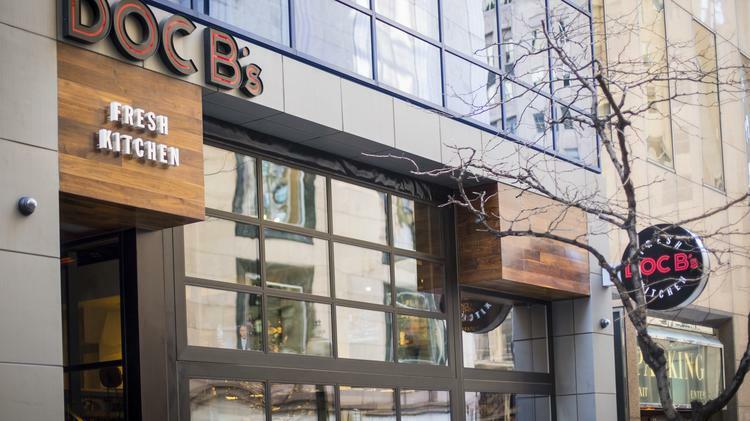 Founder and president Craig Bernstein said today he will take the Doc B's farm-to-table concept — using fresh ingredients in a range of salads, burgers, sandwiches and wok bowls — to five new markets over the next 24 mouths. Ft. Lauderdale is slated for late 2016, with Austin and Dallas, Texas, coming online in early spring of 2017. Ft. Worth will get a Doc B's in late 2017, and last, but not least, Aventura, Florida, in early 2018. Bernstein, who knew at the tender age of 10 that he wanted to be in the restaurant business, has proved a savvy student of the Chicago restaurant scene. Noted Bernstein: "We created the (Doc B's) concept to offer guests food that you can feel good about and tastes that are memorable. We've been thrilled with our guests' responses thus far." Bernstein has catalogued customers' favorites dishes on his Doc B's menu, and they include, among others, a tuna salad made with seared Ahi, avocado, mango, field greens and a house-made ginger dressing and "the number six," a spicy, crispy chicken sandwich topped with a pickle, habanero-honey barbecue sauce and roasted garlic dressing. Doc B's doesn't stint in the wine, spirits and cocktail department either. The restaurant does its own take on classics such as the Moscow Mule and the Old Fashioned. Like the existing Doc B's, the new outposts will feature minimalist design — which Bernstein considers a reflection of the simple ingredients that typically go into a Doc B's dish. Bernstein opened the first Doc B's in Chicago in 2013. The two restaurants now open in the city are situated in the Gold Coast and River North, where high concentrations of both residents and visitors/tourists are found on any given day.